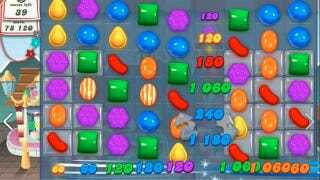 The company behind Candy Crush Saga has withdrawn their trademark application for 'Candy' in the United States, according to documents they filed with the U.S. Trademark Office yesterday. King, the company behind Candy Crush, filed for a trademark on the word 'Candy' last year, which caused a bit of a stir in the world of gaming, as, well, it's a bit silly to imagine one company owning the rights to any application with the word 'Candy' in it. Last month, some cheeky game developers launched the CandyJam, a game jam devoted to making video games with the words 'Candy' and 'Saga' in them. Yesterday, King filed for abandonment of the trademark in the United States. When reached by Kotaku, King confirmed the trademark abandonment but declined to comment.